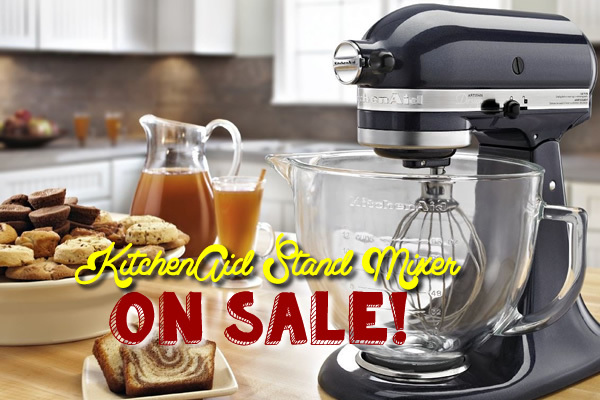 Score a KitchenAid 5-qt Stand Mixer on Sale for around $109!! Every year I am shocked at how much the KitchenAid Stand Mixers drop in price. 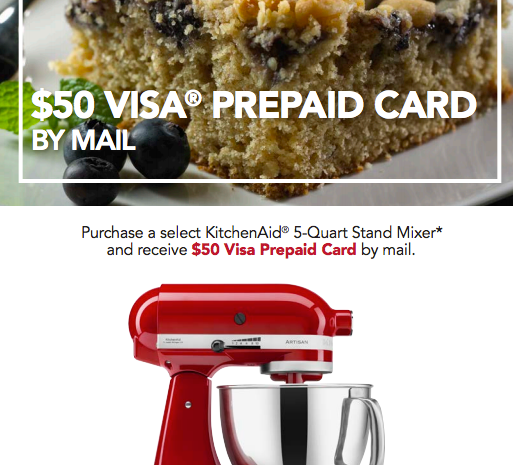 I got mine for $99 a few years ago by being clever with combining the Black Friday sales at Kohls, with the KitchenAid $50 Rebate & Ebates Cash Back. This brings the mixer to less than $120 – see breakdown below ! 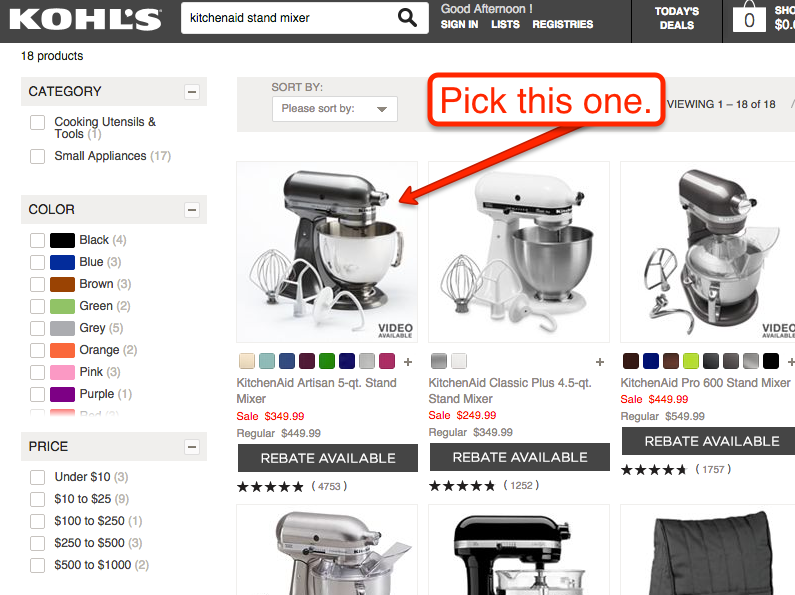 I’m not sure how long it will last – and the deal may get better on Black Friday, but here’s how you can score the latest deal on a KitchenAid 5qt Mixer if you follow the directions below EXACTLY. 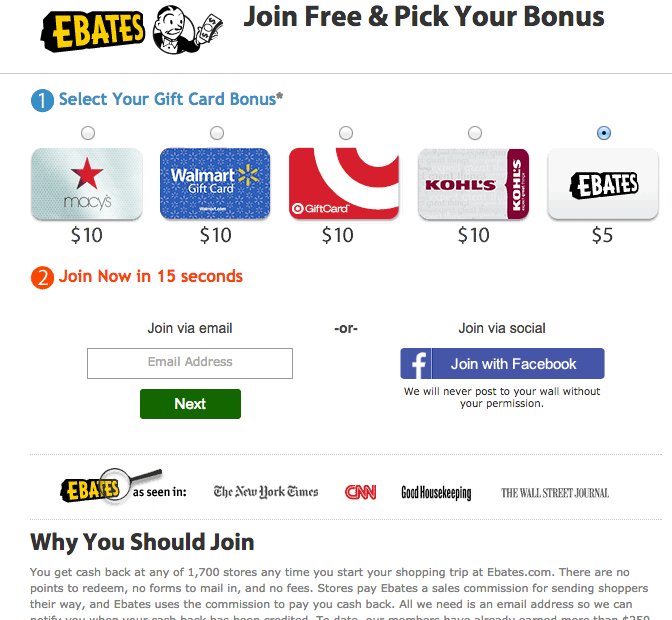 Sign-Up for an Ebates Account. If you aren’t sure what that is, or if you think you will use it, check out my review of it from a couple years ago. I use it ALL of the time and usually get about $500 cash back per year on purchases I’d already be making online. If you’re a new Ebates Member, you’ll also get a bonus gift card or account credit when you sign up and make your first purchase – choose wisely. 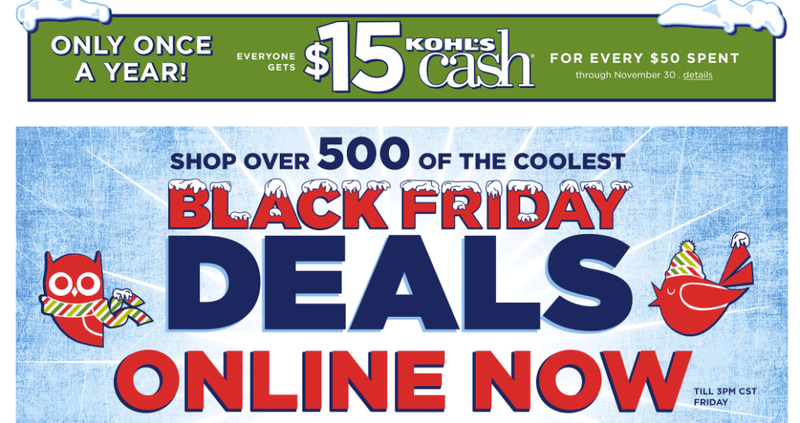 Using the Ebates links, click on the Kohl’s shopping link through Ebates. This will open up a shopping ‘tracking ticket’ with Ebates, which will automatically credit your Ebates account 6% 9% (today is double cash back) of the net purchase price. This should take you to the Kohl’s website. You will not get the cash back if you don’t click through Ebates first. Pick out your favorite color and add to your cart – the price should drop by 10% to 314.99 automatically. THEN apply the coupon code: CYBER20 or CYBERTAKE20 THANKS15 or YES2SAVINGS during checkout to subtract an additional 15% 20% off your purchase (this should deduct another $47.25 $63.00) and bring the total to !$251.99 PLUS a $7.50 shipping surcharge. $119.37 !!! for a KitchenAid 5qt Stand Mixer !!! ANOTHER BONUS!! 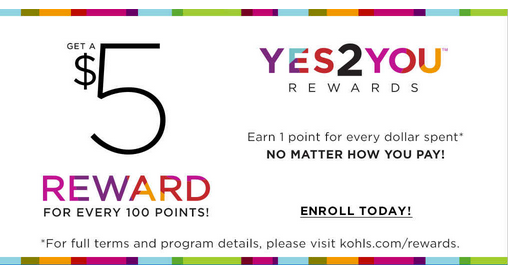 If you enroll in Kohl’s Yes 2 You Reward program before checking out, you will earn an additional $10 on this purchase!! Bringing your total for the Stand Mixer to only 109.37!! That’s $169.63 Cheaper than Amazon has it for Right now ($279.98) – Amazon may have the better price if you don’t want to mess around with waiting for Rebates, Credits & Cash Back – but their colors might be limited & you’d miss out on the $75 Free Kohl’s cash.